This summer, we are introducing a brand-new type of tomato to Asda stores – the Goutini. Grown in Southport, our growers have spent four years perfecting the new variety to ensure the best quality, sweetest fruit possible and say it’s now “perfect”. Resembling a Beefsteak tomato, the Goutini contains the highest amount of natural sugar for a tomato this size. A regular Beefsteak tomato has a natural sugar level of 3.5%, whereas the Goutini contains twice that – a level which is usually only possible in small, salad tomatoes. 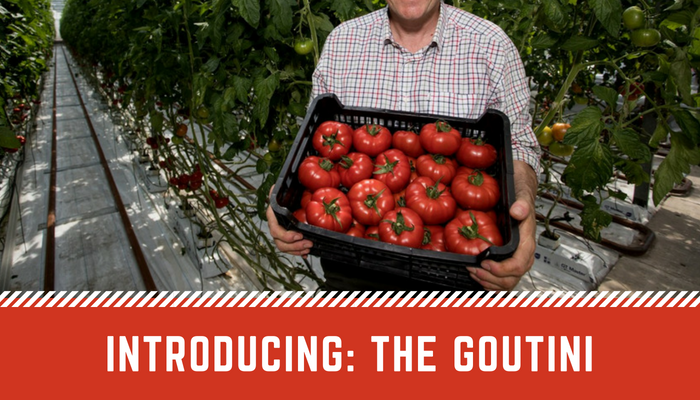 Grown in carefully-moderated conditions created to mirror the conditions of warmer European climates, including sunlight regulation and humidity control, the Goutini is the perfect combination of the sweetness of salad tomatoes, combined with the versatility of the Beefsteak, making it unlike any other tomato on the market. Nasir Ahmed, Manager – Technical Produce, comments: “Currently, our best-selling tomato is a Piccolo Cherry, so we know our customers love sweet, juicy tomatoes. The Goutini has the flavour of a sweet salad tomato, but it’s much bigger, so it’s perfect for any number of meals this summer.